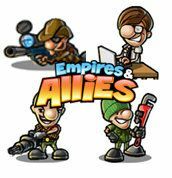 Grab your Empires & Allies Agents now! A good way to get as many of these agents is by having many secondary accounts/playing friends. Log into your secondary accounts and accept the request.